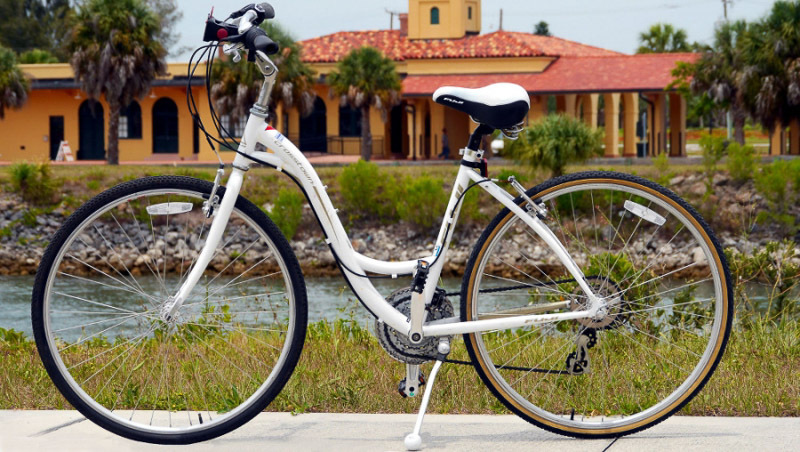 If you have been researching bike rental in Venice Florida and aren’t sure what kind of rental bike you are looking for you can rely on our personalized telephone reservation-process. We will ask questions about your height, what kind of bikes you may have at home, and what kind of riding you plan to do so that we can match you with bikes that best fit you. And although you will find that our bikes are not all identical, you can be sure that to the best of our ability (and bike availability) we’ll deliver bikes that are designed for comfortable local riding, or longer distance touring on the two trail systems in the area. 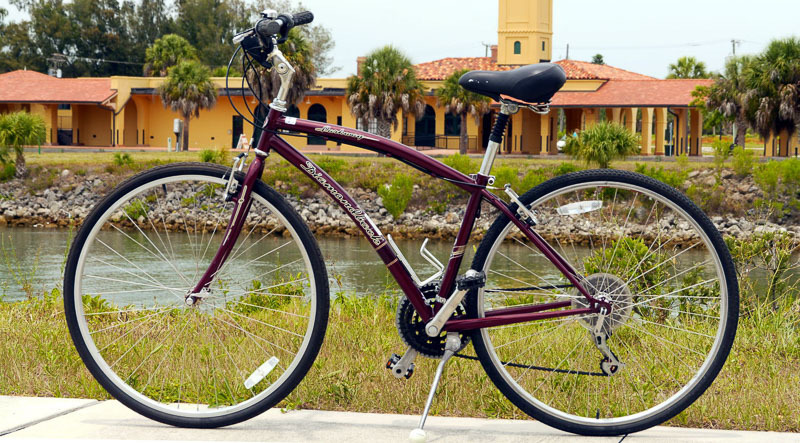 7-Speed Comfort Cruisers are comfortable bikes that are great for knocking around Venice Island, and going to and from the beaches. They are also excellent for tooling up and down the local bike trails on what we call a “Day Ride”. These bikes have seven speeds so that you can select an easy gear when pedaling into the wind. These bikes have firm, 65 PSI street-tires that give a safe, stable ride. The 7-Speed Comfort Cruisers also have what we call in the bicycle industry a ‘pedal-forward’ configuration. This means that the pedals are positioned slightly forward on the frame of the bike. The result is a lower seat-height (so that your feet can touch the ground easier) but you still have good leg-extension when pedaling. Comfort Cruiser also have slightly wider seats. 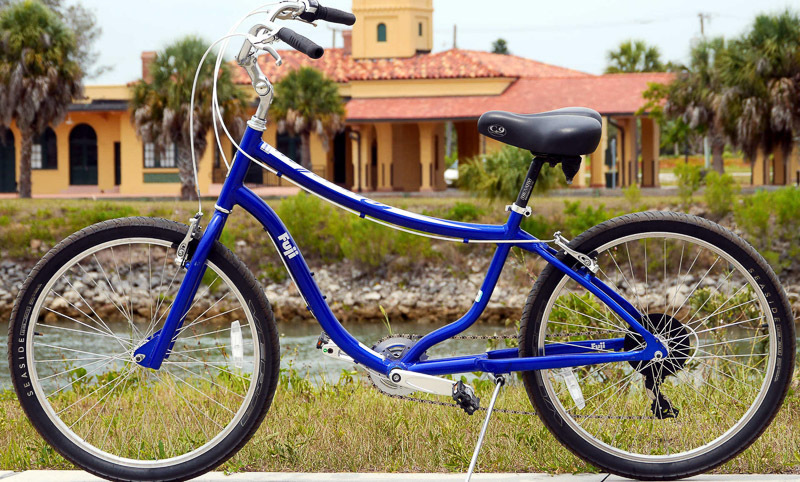 Comfort Cruisers come in men’s frames, and women’s frames. Best for cruising local trails and to the beaches. Hybrid bikes have narrower, higher pressure tires, and lot more gears. This results in lower ‘rolling resistance’. Some hybrids are actually 23-speed, but they all have at least twenty-one. Looking for a longer-distance touring scenario on The Legacy Trail or Venice Trail? You might prefer riding one of these 21-speed Hybrid bikes. Women’s frame hybrids (step through) offer an upright riding position. The step-through versions are best for riders shorter than 5 feet 9 inches. On men’s frame hybrids (top bar) the riding position may need the rider to lean forward a bit. These top-bar versions are well suited for taller riders. Both types of bike are expertly maintained by professional in-house mechanics and owners. Best for longer distance and full-length trail touring. We sell adult trikes at our factory discounted price. 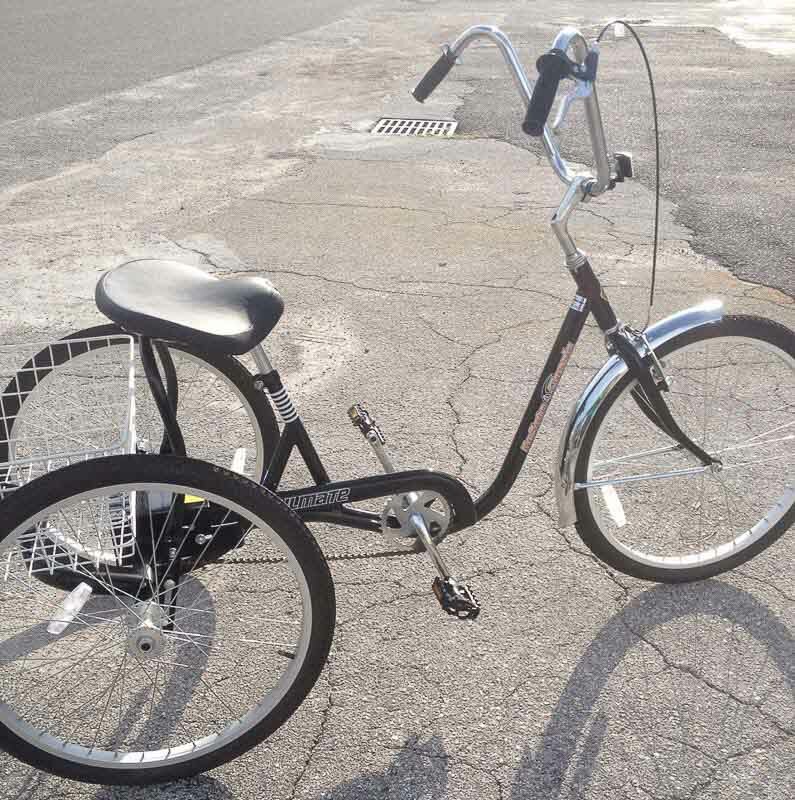 But if you aren’t sure if you are ready for a trike you can always rent one, or come to the shop for a test ride. One of the things that happens to us as we age is that we tend to develop some balance issues. 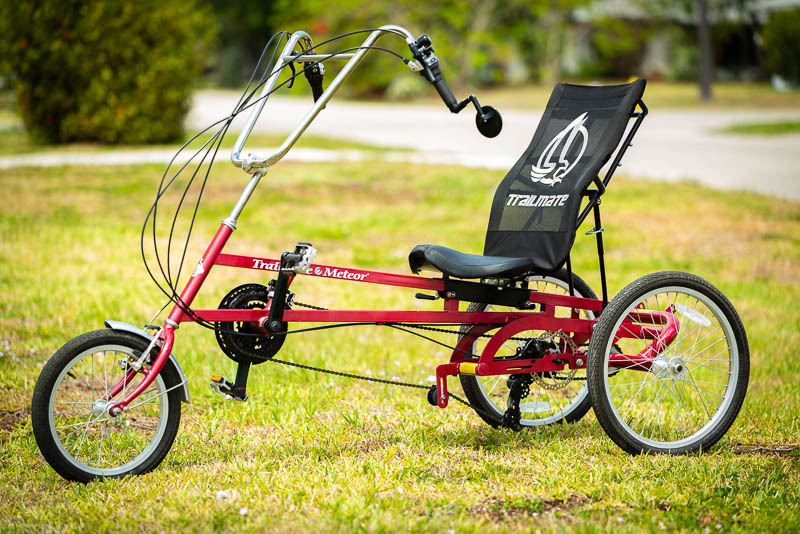 If you are at that point and still love cycling, it’s time for an adult trike. Rent one for a day to see if an adult trike is right for you. 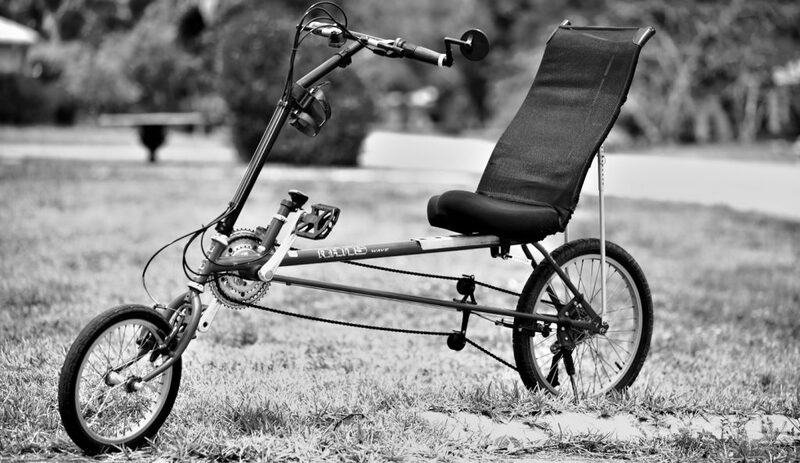 (We also have recumbent trikes. 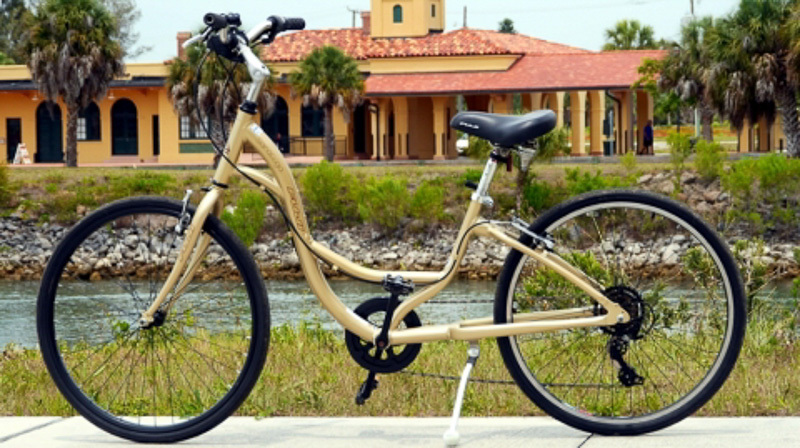 For many years Venice Bikes & Trikes (AKA Beach Bikes) has served customers looking for bike rental in Venice Florida. We have a huge fleet of bikes that is expertly maintained by our owner. Our rental fleet is comprised of several distinct types of bike: Comfort-Cruisers, Hybrids, Recumbents, and Adult Trikes. We no longer carry kids bikes shorter than 20-inch wheels.